From the evolution of Aeropan® comes the Aktivepan, heat-radiation panel, able to combine maximum insulation performance with the quickest and most innovative heating system. 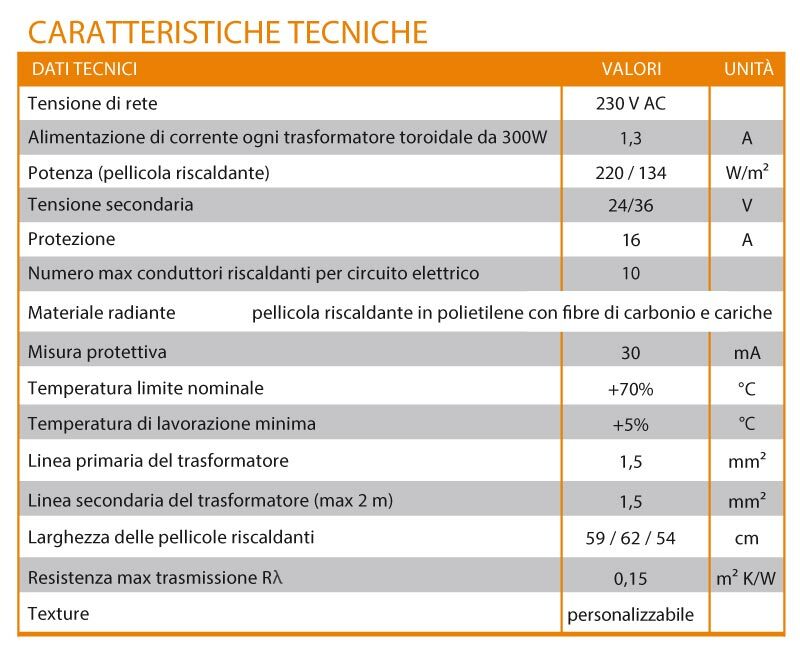 The insertion of a reduced-thickness (60 micron) carbon-based film permits combining an effective increase in the thermal performance of the walls with an innovative and non-invasive low-voltage (24V/36V) electric radiation system. Aktivepan permits overcoming, once and for all, any problem associated with thermal bridges and mould, and all this with a non-invasive and in fact aesthetically appealing integration in the existing home heating system. The Aktivepan anti-mould heat-radiating system is able to overcome mould problems once and for all with a series of positive collateral effects, such as improvement of health, property value and quality of life inside the home. Application requirements are few: a wall and a connection to the power mains, i.e., all features which a standard building normally offers. The time required for installation, which can also be performed by an interior decorator, is short, but benefits are evident and long-lasting. 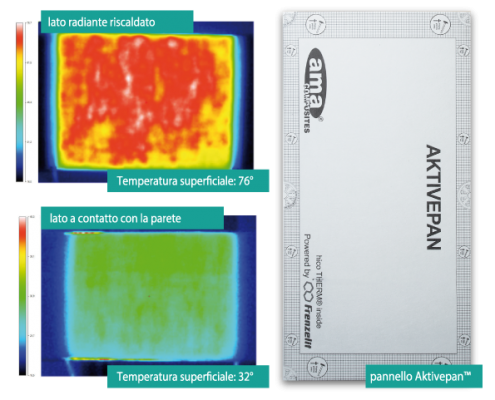 The Aktivepan heat-radiating system package consists of a plaster covering, as conductor, a hicoTHERM heating film as heat source integrated in an Aeropan® insulating panel, a heat sensor, a transformer, a cable, an ON/OFF switch and a thermostat. Once the substrate is ready for installation, i.e., when it is smooth and dry, the panel is normally installed, just like traditional insulation and, once connections have been made, these simply have to be connected to the transformer, the switch and the thermostat. The last stage envisages plaster-based surface smoothing. The Aktivepan panel is available in a broad range of sizes and either with standard or customized texture. Thanks to this finish, Aktivepan appears like a photographic print, but while it decorates the environment, it helps heat it like a traditional heat source and with the added advantage energy.